The Stephen King based film, The Dark Tower hits UK cinemas this week having already released in the US a couple of weeks agos. Speaking of the US one of their release includes the James Bond actor Daniel Craig in the film Logan Lucky. Craig has just announced he will indeed reprise his role as 007 one more time. Right time to start looking in detail at the weeks new offerings; here are the cinema releases for August 18 2017 in the United Kingdom, USA, Australia and New Zealand. 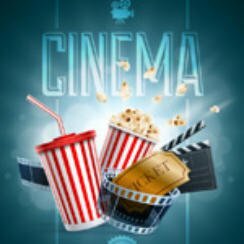 What movies/films have we all been watching in cinemas over the last week, time to find out as we take a look at the Top 10 Box Office Films in both the US and UK. Warner Bros dominate the top two places on the UK chart with Dunkirk taking a massive gross to date of £44,794,468. I was looking forward to watching the Stephen King based film The Dark Tower however I’ve read several disappointing reviews that has somewhat dampened my enthusiasm. That said I will still take a look and make up my own mind. Nothing else really interests me this week I’m sick of action comedy style films so The Hitman’s Bodyguard won’t be seeing my money anytime soon. Nor for that fact will the upcoming September release Kingsman: The Golden Circle.